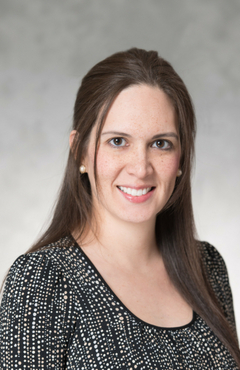 Andrea Lake is a Senior Financial Analyst at Tiber Hudson LLC. She joined Mr. Neumann as a financial analyst and legal assistant in July of 2007. Ms. Lake graduated from the University of Virginia in May of 2007 with a double major in Economics and Psychology. She was a research assistant at UVA’s Early Development Laboratory. Additionally, she walked-on to the University of Virginia women’s varsity swimming team which won the 2003 ACC Women’s Swimming and Diving Championship. As a Senior Financial Analyst, Ms. Lake works directly with Mr. Neumann, Mr. Zeltser, and Ms. King and specializes in developing various cash flow analyses, performing arbitrage rebate computations and preparing yield proofs on a wide range of financings for rating agency and bond counsel review.